Vavoom! News October 2010 | Vavoom! 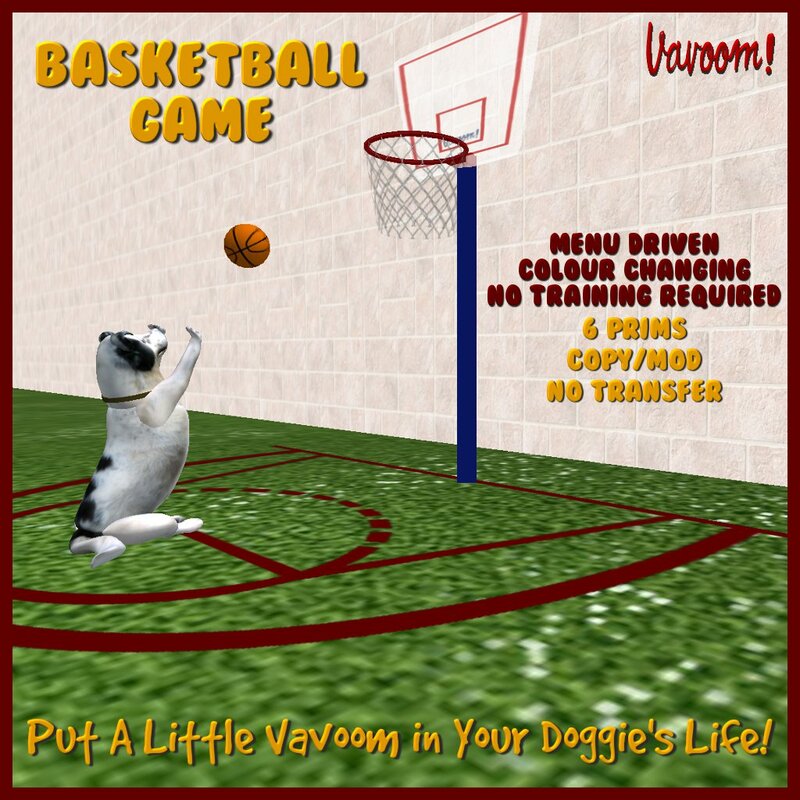 Click on the basket or backboard, choose a dog’s name from the menu and watch him take the ball back to the net and take a shot. After he’s taken his shot, he comes back to you barking and wagging his tail, enthusiastic to do it all over again. All of your VKC Dogs can play with this from the Chihuahua right up to the Irish Wolfhound and if you have a Hyena, it will work with him too. Oh and you should see the Polar Bear shoot a basket! You can try it out for yourself at my store and in some of the dog parks. There are scripted controls for the owner to colour the hoop, the pole and the net and there is a built in rezzer (and de-rezzer) for the optional extra prim with the markings for the Baseline, Key and Three-Point Line. There is also a button to remove any stray basketballs that you may have rezzed when the game is over. Categories: Vavoom! News. Tags: Interactive Toys, Toys.